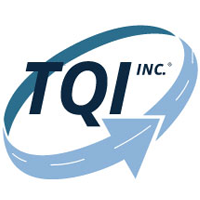 TQI, Inc. is an industry leading, full-service CCL (cold-chain logistics) company dedicated to the Life Sciences sector. We are a premium carrier that specializes in hauling time-sensitive, temperature controlled freight. Because of the critical nature of our business, we only hire the best Company Drivers in the industry. TQI’s experience, history of quality service, and focus on customer satisfaction have earned us the opportunity to serve the largest Life Sciences companies in the world. TQI is a proud member of the Forward Air network. The advantages and benefits you will receive by becoming a Solo Company Driver with us are second to none. As an elite division, we pride ourselves on our ability to offer our drivers the best opportunity to succeed in the industry. Our drivers are the backbone of our company and we strive to provide you with first class support and service, as we expect you to provide the same to our customers. We are invested in your success. Guaranteed Pay Package – Call it your Safety Net. No matter what happens you are guaranteed $43,200 per year (based off running 48 weeks annually). However, the average annual salary can range anywhere from $46,000 – $54,000 per year! Team trainee program – Less tenured drivers (6 months experience or more) can partner with a veteran driver (1 year or more verified experience) to operate as a team in order to gain valuable experience at a great pay rate!